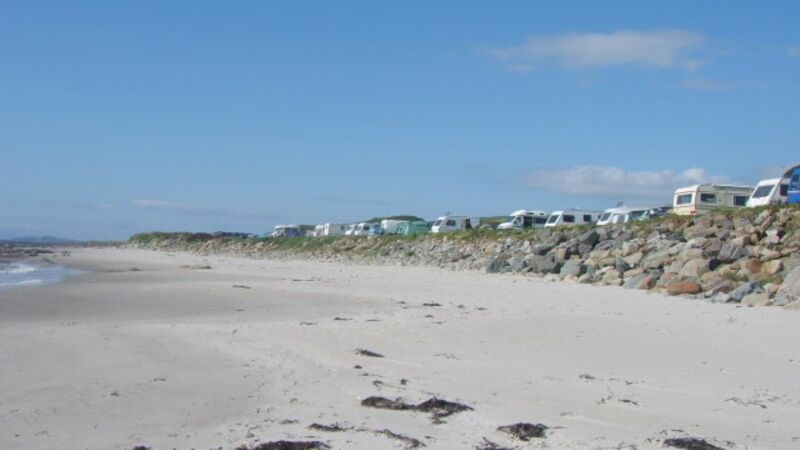 If you have enjoyed your stay at Killegruer Caravan Site,post a comment here for others to read.Many thanks,Anne Littleson. Lovely site with amazing views, well worth the long drive. This was our second stay here, we will be returning again to this peaceful site. Special mention & many thanks to Anne & her niece who couldn`t do enough to help us. Thanks very much John for your kind comments.I'm glad you enjoyed your stay and look forward to welcoming you back in the future. left this morning, had a fab few days with you and definitely will be back. I'm glad you enjoyed your first visit to the site Janet and I look forward to welcoming you back sometime in the future. Thanks Cathy for your kind comments about the site and I'm glad you enjoyed your stay at Killegruer. 4days away here on the edge of the ocean, relaxing,friendly site, weather great, Anne very friendly, we will be back for sure what�s not to ?? even our 2 dogs enjoyed their 5 times a day beach and sea walks. Thanks Alison for your kind comments about your recent stay at Killegruer.I look forward to welcoming you back sometime in the future. Came to Killegruer for a short break, loved it. A gust of wind broke one of our tent poles but Anne the owner and fellow campers helped out, thanks all. A very friendly campsite situated next to the beach, couldn't recommend it enough, as good as it looks above! Thanks very much Roger for your kind comments about the site.I'm glad you enjoyed your stay and didn't allow the weather to spoil your visit.